NEW SOUTH WALES is lagging its neighbours in harvest intake to date, according to the latest weekly harvest reports from bulk handlers GrainCorp and Viterra. GrainCorp’s figures show NSW receivals from the harvest to November 12 totalled 43,100 tonnes, up 22,000t over the week, 1300t ahead of Queensland, but 12,500t behind Victoria. GrainCorp said harvest activity across Queensland and northern NSW was winding down, and activity was intensifying in southern areas. It said harvest was well under way in southern NSW, with pockets of good yield and quality, and the Victorian harvest was starting to ramp up, with early quality above expectations. A cargo of wheat from Albany is now being discharged from the Medi Brisbane in Newcastle, and the past week’s transhipment has added 25,000t to the GrainCorp total of 192,000t brought to eastern terminals in this drought-affected season. Boolah Commodity Management principal, Stuart Tighe, said transhipments coming into eastern ports showed no sign of slowing down. “I don’t think it can slow down,” Mr Tighe said. Viterra’s South Australian storage and handling network received 228,415t in the week to November 11 to take its harvest total to 487,052t. In its weekly harvest report, Viterra said cool conditions limited receivals to 70,000t from Monday to Friday last week, but warmer weather brought nearly 160,000t into the system over the weekend. 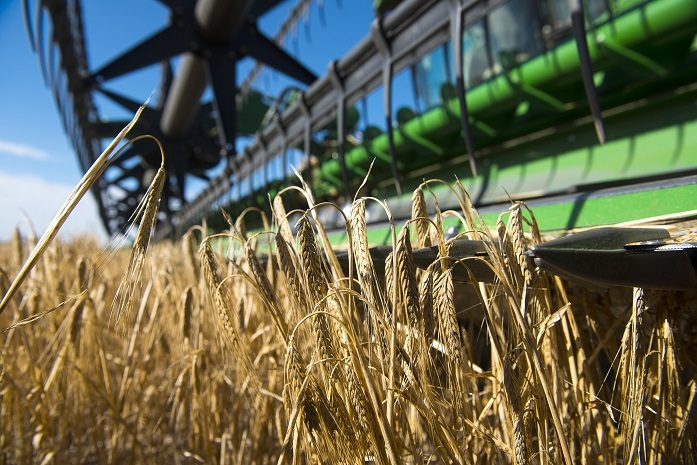 Receivals in Viterra’s western region picked up significantly, and for the first time this harvest, its sites took in more grain than the central region. Most deliveries to western-region sites have been barley and canola, and large deliveries of canola came into Cummins and Port Lincoln last week. Wheat deliveries have now started in the western region. Most of the central region’s receivals last week came into Mid North and Upper North sites, and the region saw the start of lentil deliveries into Ardrossan and Two Wells. In the eastern region, all Viterra sites in the Mallee have now received grain, while sites in southeastern South Australia and yet to start their intake.